French Mid Century Hairpin Tables. If you are a fan of "Mon Oncle" you will love these modernist end tables. These super beautiful hairpin side table set is a joy to behold. Inspired by the classic French hairpin leg tables, our Parisian hairpin side tables feature a quality wooden table top slab in the manner of Alexandre Noll and George Nakashima. These exquisite set of hairpin side tables have become instant mid century modern classics with their distinctive timeless features. 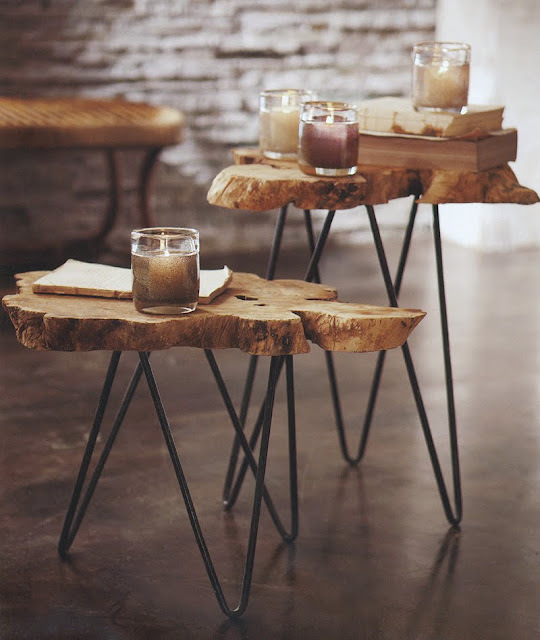 Very simple and effortlessly elegant, these beautiful side tables will be the perfect fit for any interior style.